The International Anti-Fascist Defence Fund hasn't added a story. Remaining monies will be used to provide security and protection for Jewish activists who are targeted by anti-Semites. This includes hiring security for public appearances, and arranging security measures at activists' residences. 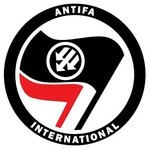 The International Anti-Fascist Defence Fund hasn't posted any updates yet. The International Anti-Fascist Defence Fund is managing the funds for this campaign.